The auto manufacturer has finally made decision to change its boring outdated design to new and modern using innovative technologies. 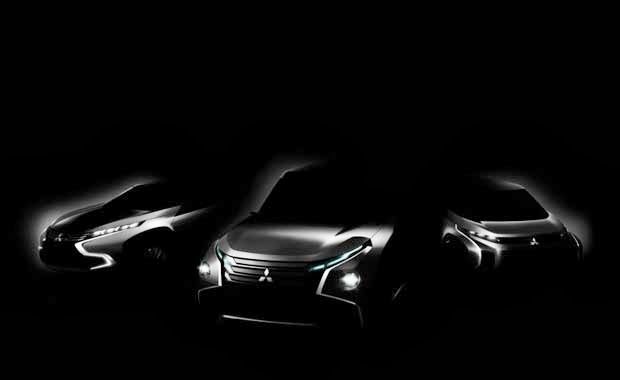 Mitsubishi plans to introduce its new three concept cars at the show in Japan this month. They are a compact MPV, a compact crossover and the full-sizes SUV. First of all let us tell you about the new Mitsubishi SUV. It is the Grand Cruiser hybrid concept. The novelty has its exterior looks like the Mitsubishi Montero (also known as “Pajero”). The car is all-wheel-drive equipped with a 3.0-liter V6 supercharged engine and the electric motor; the gearbox is eight-speed automatic. The second novelty is the compact crossover – the Cross Runner hybrid concept. The vehicle gets a 1.1-liter turbocharged direct-injected engine and an electric motor. The third car is the compact MPV; it is not a hybrid car. The novelty will have a 1.1-liter turbocharged direct-injected gasoline engine. The auto manufacturer promises this car is comfortable for all passengers. The carmaker uses its e-Assist system in all concepts; this system provides active safety technology. We will give you more details when the Tokyo auto show opens this month.